Last time I read a time travel book, I ended up being disappointed. But, Return Once More DOES NOT DISAPPOINT. It has a well established world, a heroine you'll love despite how many rules she breaks, and characters you'll really love! I love the entire set up of Return Once More. It clearly established the need for time travelling, the world they are in, what went on, and why they're not on Earth. The time travelling concept was really interesting and wasn't very complex. I LOVE the history parts of the story - they're well researched, I kind of checked them out. The catch on the whole time travelling is that you get to know one true love (True). Kaia, the heroine, just turned 17, finds out her True, and does all sorts of things because of it. He's from ancient Egypt which basically screams forbidden love. Being aware of your True is kind of an interesting concept but it also feels that it places the minds of people on one person - Kaia thinks she must be with him because the side effect of their technology told her he's her True. It just doesn't seem right. (does that make sense? lol). But setting the entire concept aside, the author still made the romance such a delight for making Kaia and her True such great characters. Anyway, I LOVE the characters! 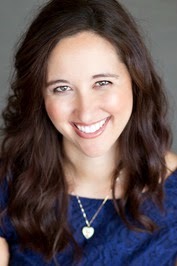 Kaia is a stubborn heroine, she makes mistakes, but we all know things will work out. She just turned 17, what do you expect? For her to know what she must and must not do? That she must be able to control her feelings and do the right things? Nope. I like Kaia's friends, Analeigh and Sarah (special mention for Analeigh for being an amazing reasonable friend). Oz, cool and mysterious, really intrigued me. 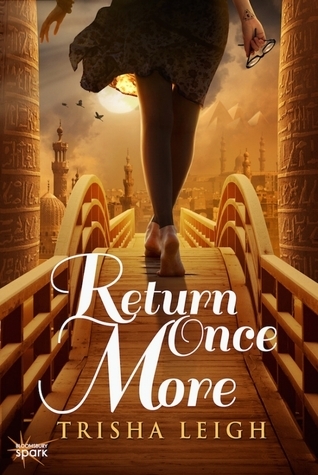 OVERALL, Return Once More is a very engaging time travelling read. While I had my issues on the whole finding your one true love, it still nicely worked. I immensely loved the characters especially Kaia. I feel that there could be a love triangle somewhere soon, I'm honestly prepare for it. I can see everything working out well :) Return Once More is a highly recommended read for those who enjoy time travelling - it works and it's great!